This week, I am shaking things up a bit and I am going to do a cross over of sorts. You know what a crossover is … right? You know, it’s what happens when two things that are similar merge to meet in one location. You know, like when the Six Million Dollar Man would appear on an episode of the Bionic Woman. Or when Batman meets Superman? Or when Iron Man meets…Spiderman, Thor, Captain America, The Hulk, and … well, I think you get the picture. Instead of my weekly written blog for Tune In Thursday I am sharing with you my Lessons from the Lake Vlog (video blog) which usually posts on Tuesdays. I record these videos from my deck with the lake behind me. I promise, it may look like a still image sometimes, but it’s not and the while the scene is the same the look varies each time. Enjoy! Thank you #God for new mercies everyday! Great is Your Faithfulness, Oh #God ! The Steadfast love of God does indeed endure. We need to remember and call to mind of the times when God has been faithful and when He has come through for us. We all have times when we face difficult situations, or we are anxious, or sad about the circumstances we face. It’s at these times we need to call to mind and cling to our history or others history of God’s Faithfulness. Remind yourself God’s Love is Steadfast. Recall testimonies of what God has already done. When we remember what God did before for us or when we see what He has done for others, we have hope that He will do it again for us. Remember, Remind, and Recall what God has already done! Remember, Remind, and Recall what #God has already done! For those who missed last weeks guest post from my friend: Dr. Michelle Bengtson highlighting her newly released Hope Prevails Bible Study you can find her guest post, or order her books by clicking on the pictures below. Dr. Michelle Bengtson has done it again. The “Hope Prevails Bible Study” delivers the same great authentic connection, raw insights, and powerful truths that we received from her book “Hope Prevails.” Being in church ministry for many years, and now a lead pastor, not only is this study a great resource for individuals, but it would be highly beneficial to both church and counseling groups. Order your copy of the #HopePrevailsBibleStudy Today! I’m reading in Jeremiah these days, so his beautiful words from Lamentations will be just the thing for me to listen to this week! Lamentations and Jeremiah do seem like a good fit don’t them ? I am so glad it fits good for you – it is always a joy to have you here each week. I’m giggling a little bit, because when I read “crossover,” all I could think about was the ice skating skill, since it’s something I work on daily with my students. (I’m a coach) I hope you have an amazing November! LOL Lisa, I did not know this about you! but I can see how you would be giggling about it 🙂 I hope you have an amazing November too! Love these verses from Lamentations, and I love seeing the beautiful fall colors around the lake now! Thank you for sharing your Tuesday Vlog here today! Bettie — thank you so much – the view – courtesy of God. The house, his gift to us 🙂 LOL I am happy to share it with you all and I am so glad you love the lamentations verses.. they are powerful aren’t they?! 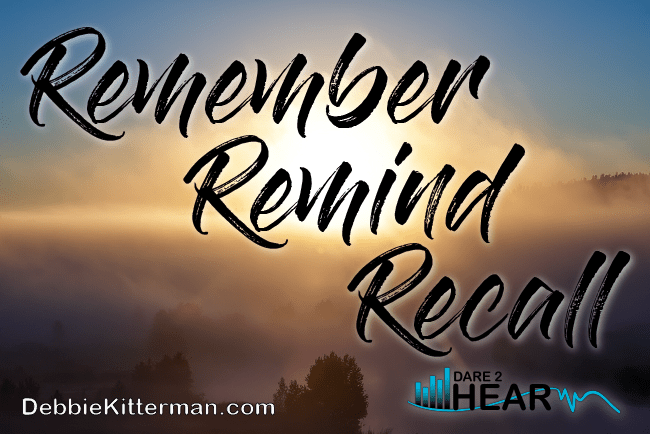 I love your remember, remind, recall. It is so important to do this. Debbie, “remember, remind, recall.” I’ve heard words similar to this several times this week. I think it’s a timely word, for sure! I know too well that hope deferred makes a heart sick, I like reminding it of His faithfulness. Thank you for inviting me to your link up. This is so true: “The steadfast love of God does indeed endure. We need to remember and call to mind of the times when God has been faithful and when He has come through for us.” Remembering what God has done is always helpful to bring hope for what God is going to do! What a great reminder of God’s steadfast love and promises. Thank you for sharing. I love the Lamentations verse that you shared. Thanks for hosting. I need to get better on this for a lot of reasons. I admit I am still a “Doubting Thomas” in some areas but getting better. As always, you are most welcome Patrick, thanks for being here. Always something new to learn here. Thanks for the party and have a blessed weekend! yes jas, there is always something new to learn, isn’t there? Have an awesome week. Wow, Debbie! You’re my “Dwell” word of the year buddy, and once again, the Lord has had us walking down a similar path, reading the same chapter of the Bible! I love this passage! In the past, only verses 22, 23 were on my radar from Lamentations. But in the last few years, I’ve come to love a whole chunk of chapter 3. I’ve linked up yesterday under the title “Eat dirt”, with the verse for the day being Lamentations 3:28,29; if you get a chance to read it, you’ll get just a little glimpse of what I mean. Oh, and thank you for the reminder that His mercies are new every morning!! This is definitely an encouraging thought to recall to mind! God has a way of sending you what you need right when you need it. I needed to hear this message today. Blessings to you for being obedient. Correction for my website url. Thank you for the encouragement to remember God’s faithfulness to me! you are most welcome Elizabeth – it is good to remember and remind ourselves sometimes isn’t it? Debbie, Thank you so much for sharing this great encouragement to be like the Psalmists who remember what the Lord has done for them in the past and to hold on as steadfastly to the Lord as His Love steadfastly holds on to us. Karen, you are most welcome for sharing. Yes, the remembering part is key in getting through the hard times. Thanks for stopping in to comment. Blessings to you as well. 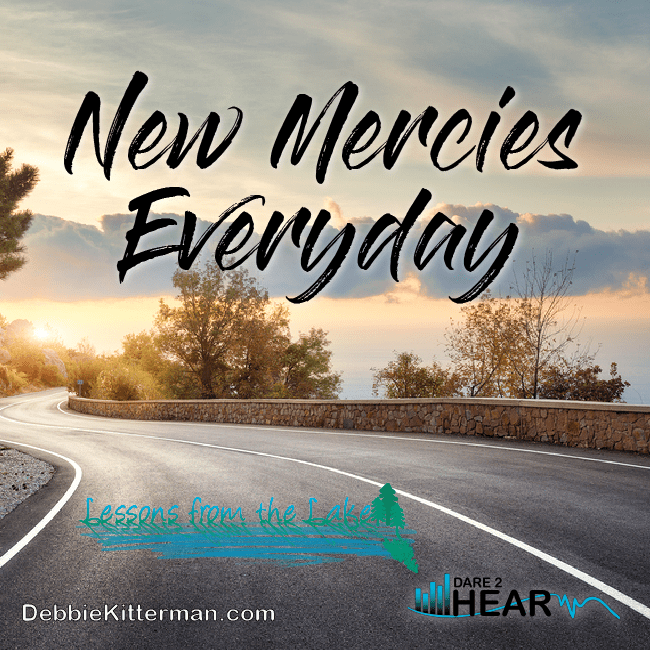 I’ve been meditating on that passage from Lamentations, Debbie, so I really resonated with this week’s message. Hope is where it’s at! Thank you so much for the encouragement. Hi Richella! You are most welcome for the encouragement and WOW! Thank you, I am so very honored to have been chosen to be featured at your place this week! YAY 🙂 Yes, Hope most certainly is where it is at.